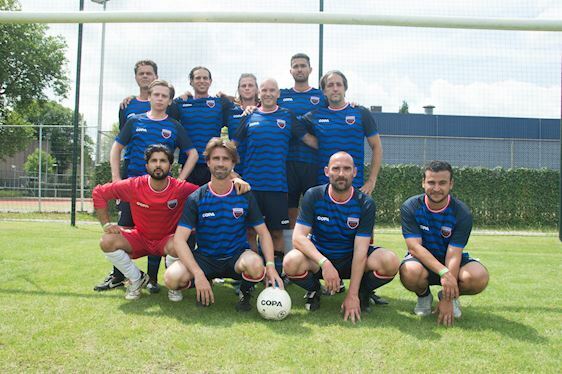 Torpedo Kattenburg, a football club still in formation, is the brainchild of Martijn Wuite and Lucien Burm. Both men share the same dream. 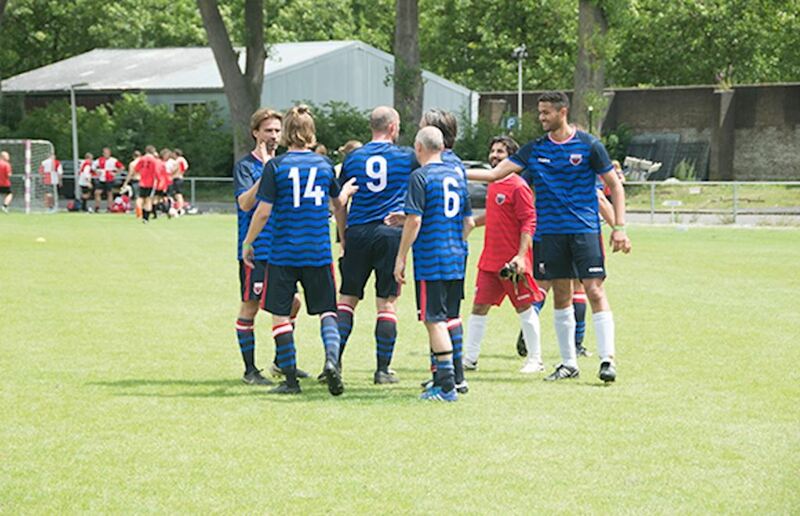 They discovered a football pitch on the now defunct Navy complex in downtown Amsterdam and it’s their dream to use it as their new home ground. The enthusiasm and interest of future playing members from the Kattenburg neighborhood in Amsterdam has been overwhelming. So we support them in their dream and asked designer Angelo Trofa to design a Navy inspired kit which is visible in the crest, colors, waves pattern and details of the shirt, short and socks. Photo credits: Martijn Wuite/Lucien Burm.